When business is good, growth is inevitable. And believe it or not, finding productive ways to expand your business operations is a good problem to have. However, when any company is in the process of expanding their capabilities, one of the biggest hurdles that occur is making the decision to expand their current workspace through commercial tenant improvements. Stay in Your Existing Location and Expand! Expanding your current workspace allows you to maintain current workflow. The biggest problem with moving is the logistic nightmare that often comes with shutting down operations, moving equipment and servicing your current customers. And in today’s competitive marketplace, if you can’t continue to fulfill quality service and products to your customers on time – they will find other options. 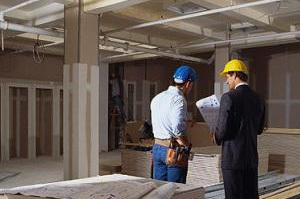 Creating commercial tenant improvements allows you to reduce costs. Another benefit of expanding your current location is cost. If you are located in a commercial building with multiple suites or office locations, simply adding onto the current location is much more affordable than moving into new facilities. And although the cash flow might be solid right now, the last thing any business owner wants to do is increase their operating costs significantly. At the end of the day, it is convenient and economically advantageous to grow in your current space with commercial tenant improvements. Black Diamond Construction is a qualified and reliable general contractor that will work with you to streamline productivity, reduce operating costs and minimize operational downtime; permitting your company to continue working and taking care of your current customer needs. If you are looking for a Las Vegas remodeling contractor, then please call 702-228-0005.